First African American female to attend Miss Porter\'s School in Farmington, Connecticut. This contemporary pioneer became co-founder of her own healthcare consulting business, Newell-Harris & Spriggs Consulting. 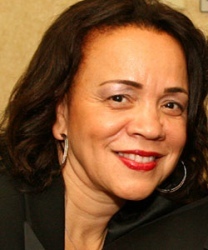 She has become the 16th National President of The Links, Incorporated.